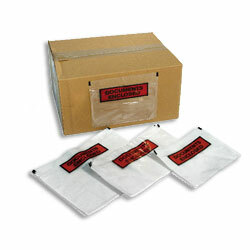 Document enclosed wallets to secure documentation to the outside of packages. For securing documentation to the outside of packages. 10 + boxes - £10.29 per box. 20 + boxes - £22.89 per box.